Want to make sure that your business cards will be seen – and seen often? Instead of handing out yet another batch of real estate business cards that your prospects will just toss in the drawer (if you're lucky), why not try something a little bit different? High-quality Weichert real estate notepads come in a huge variety of styles and designs, so you can find the look that's perfect for your business. Clients will love them because they're useful enough to be taken everywhere they go. You'll love them because everywhere they go, your business cards will go along for the ride. 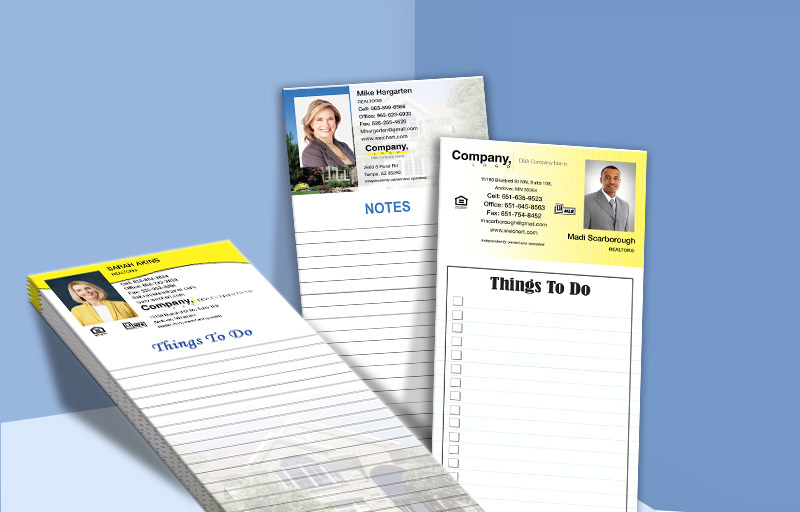 Our full line-up of notepads for Weichert agents offers great variety and versatility. You'll impress your clients from the start when you hand them a personalized notepad, complete with your contact details and a unique QR code which they can scan for more information. 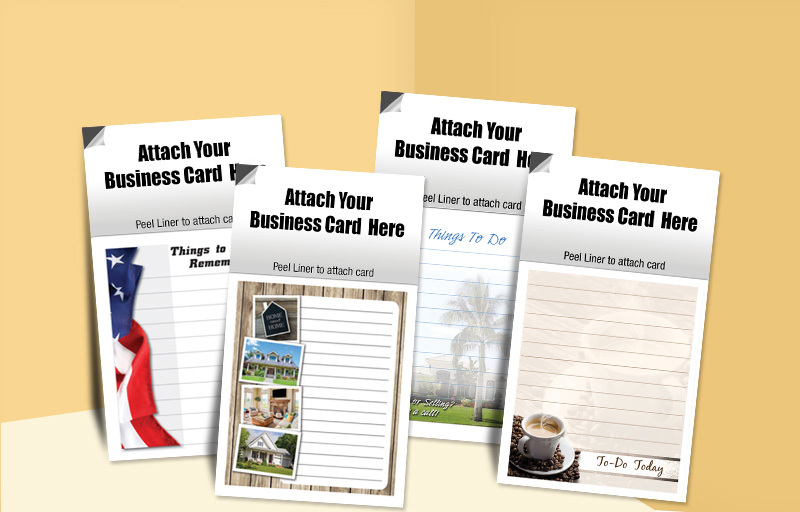 Magnetic notepads are always a favorite at local networking events, and with our easy-to-use Peel N' Stick adhesive, you can use your existing business cards to personalize the 20 sheet or 50 sheet notepads. We even offer 20-sheet notepads with included envelopes so you can use them as a “special gift” mailing for clients and prospects alike. At BestPrintBuy, we believe in giving clients great products at a great price, and giving them the tools they need to customize everything. Our real estate notepads for Weichert’s agents are no exceptions. Whatever your needs for client promotions and giveaways, you'll find the perfect product to help promote your brand. ■ Magnetic Notepads Size: 3.5" X 6.25"
■ Printed in 4 color process on 20 lb. white bond. Personalized Notepads- 3.5" x 8.5"
■ Personalized Notepads Size: 3.5" x 8.5"